Are you a fan of Pinterest’s snazzy scrolling grid format display? 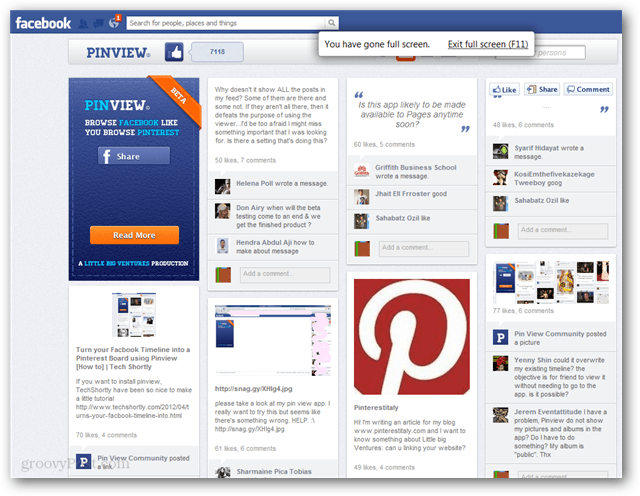 Now you can bring a similar look and experience to your Facebook wall with an integrated app called Pinview. Facebook may have updated its interface, but the new aesthetics weren’t enough to please everyone. If you’re looking for something different, Pinview is a free Facebook app that brings a Pinterest style interface to your Facebook experience. 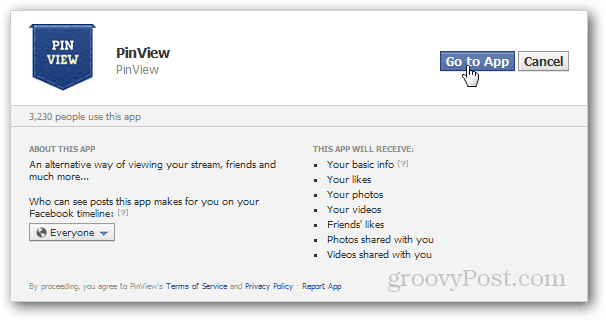 To get started, visit the Pinview on Facebook app page (Link Below). Then click the Get Started button. Pinview will request permission to use and view your profile information. Click Go to App. On the next screen the permissions are optional. However, for Pinview to be fully functional, it requires access to these additional permissions. 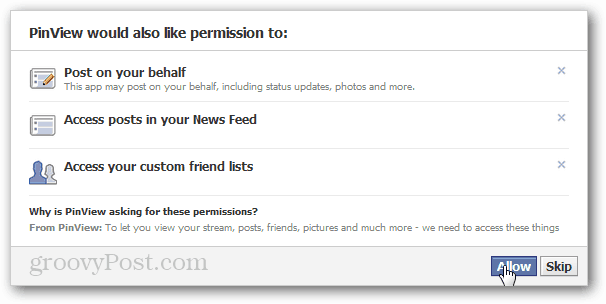 If you’re ok with giving these permissions, Click Allow. 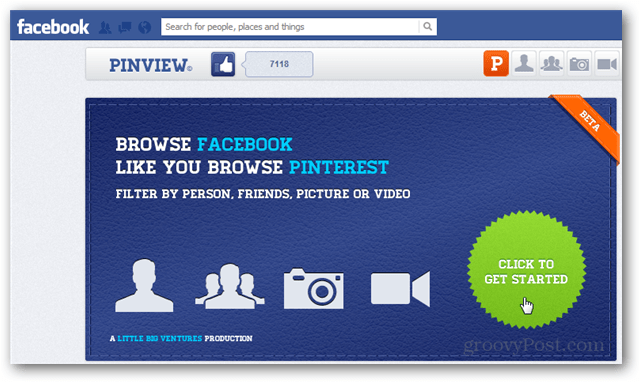 Now just bookmark https://apps.facebook.com/pinviewer/ and visit it whenever you want to view Facebook in a Pinterest-like format. Pinview is still in beta testing, and it isn’t without a few bugs. At first glance, it provides a fluid and easy to navigate interface. The biggest problem I’ve had is that the profile links are sometimes broken, and that makes visiting a friends wall rather difficult. On the other hand, if you want to quickly navigate from one wall to another, Pinview is ideal.